Creative Web Marketing - F.A.Q. We recently worked with long-time client ICACM on their growth into the Indonesian market & rebranding. This new website is graphics heavy reflecting the visual nature of their industry, however loading times are still within optimum for SEO and visitor retention. This site features several content deliver techniques. The talent page includes a mosaic of artists linking to their talent page which includes embedded video and also .pdfs for their CV. 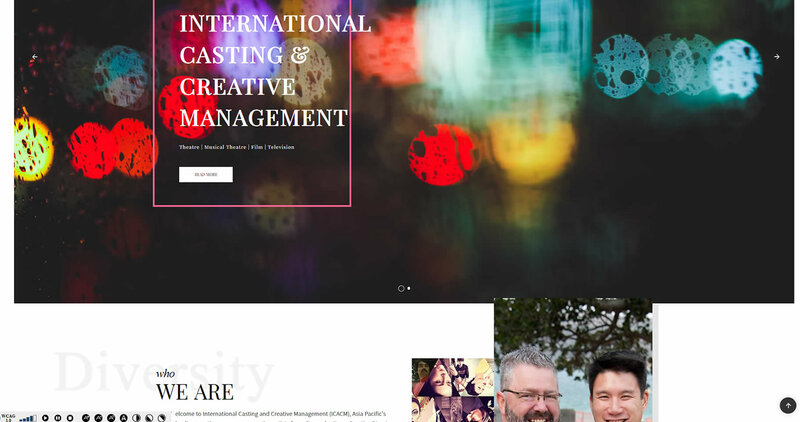 The page is tagged for quick discovery of talent, and includes a shortlist feature to allow Talent Bookers an opportunity to work up a shortlist of options,then email that to themselves and also ICACM to contact the artists. The news section reads ICACM's Facebook feed and delivers those posts in an attractive fashion. This updates every 15 minutes and is entirely automatic. Note the accessibility bar on the bottom of the screen that allows the visually impaired to 'read' the screen aloud, adjust fonts and contrast and even load a dyslexic font. 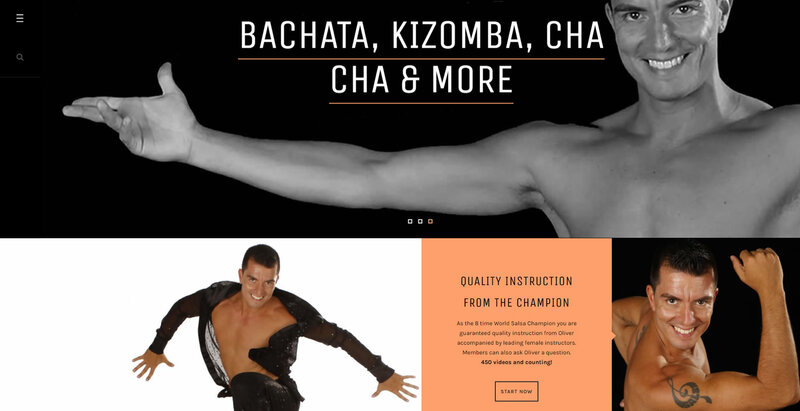 Oliver Pineda Dance offers subscribers an opportunity to learn Salsa and Latin Dance online, with the 8 time World Salsa Champion, Oliver Pineda. Detailed site statistics on video plays, exit points and replays which provides strong guidance on the future direction to take the topics. Social Media articles automatically created from relevant social media sites, providing a massive research resource - Facebook, Twitter, Pinterest, Instagram and Youtube. Optional Vimeo & Flickr. This website was built to hold an organic and Adwords campaign for locksmiths on the Central Coast. In the target area this new site has moved to the top of the front page on organic search, as well as #1 in Google Local. Featuring fast 2 second load and strong design on a phone, which is the primary focus after hours. This is supported with a click to call button and clear explanation of hours and services. A strong branding differentiates the site to trigger recognition for follow up business.